A valley speaks of a time of testing. It symbolizes a spiritual low point and it speaks of difficult circumstances. God will be with you whilst you go through this tough time. 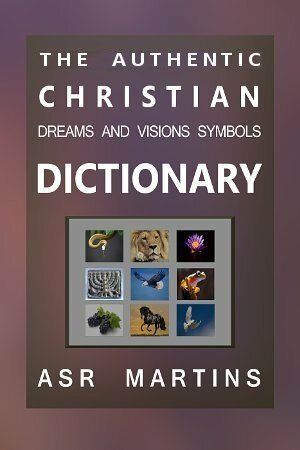 In dreams and visions vegetables symbolizes the good nutrient value of the word of God. This speaks of good spiritual food which is very good for you. See “Food”. Vehicles are utilized to move from one place to another place. It is the instruments or equipment enabling us to achieve our purposes in life. It therefore symbolizes ministries, motivation (life’s journey), natural jobs, business situations and special projects in life. Vehicles are utilized so that we can progress in life, achieve something in life or move forward on the roads of life. Different vehicles are the different instruments that enable us to embark on life’s different journeys. These roads or these journeys are spiritual roads or spiritual journeys but also non spiritual journeys in life. In case of natural jobs or business situations these roads are the ways and methods that we utilize achieving our goals (See “Roads”). Take note that “motivations” and “projects” open up numerous applications of vehicles in dreams and visions. I have noticed that wherever people work together to pursue a common goal, not only in a work situation or a spiritual ministry but even with organizations like school boards, sports boards, clubs, counsels and associations, God also makes use of the symbol of a car to show the motivation or other aspects of the people on the boards or associations. Different vehicles (bigger and more powerful) enable us to achieve different results or breakthroughs and it also speaks of people who specialize in certain areas. Some vehicles like aeroplanes and spacecraft enable us to achieve supernatural breakthroughs which are normally not possible. When vehicles of the “air” lift up from the ground it either neutralizes earths gravity force or in the case of spacecraft it breaks out of earths gravity force. In the spirit realm this means rising above the natural laws of this world in order to operate or function in the supernatural. When you see a vehicle of the air taking off in a dream it speaks of a new move or a new level of ministry or a new phase of ministry coming. Some vehicles enable us to achieve new things that was previously not possible. The driver of the vehicle is usually the person the dream is about but not always. In some instances it can be your boss at work behind the wheel of his “company” and you a passenger (employee). Passengers play supporting roles or are somehow involved with the ministry, job or business situation. Spouses usually dream they are passengers because of the supportive role they play in life. The roads we travel, whether in a car or on a bicycle or on a motorcycle are all important aspects (symbols) in dreams. Road signs are very important in dreams in visions. The natural meanings of road signs are to be understood in a spiritual sense in order to understand the spiritual meaning of road signs. Also take note that there is a particularly important meaning for vehicles when it comes to the ministry of teaching. The five-fold ministry of teaching is often symbolized by vehicles. Take note that Ships and boats are in a sense part of this group (Vehicles). It differs where it comes to the same principles being applied to a group of people specifically related to evangelistic outreaches in the world (See “Sea”). A car has the same meaning as a “horse” did in Biblical times. It symbolizes a person’s personal ministry or motivation (life) or natural job or business situation. Whatever the condition of the car, the colors and the incidents that the car is involved in tell us more about the personal motivation, ministry and work of a person. 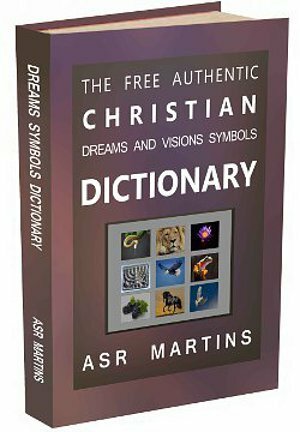 Christians dream of personal ministries as well as the other aspects of this symbol whereas unsaved people dream of their natural jobs, business situations and personal motivations in life. See “Vehicles” for a better understanding of vehicles in dreams and visions. An accident symbolizes dissension and disunity. When you and a very close person, usually your spouse or a business partner, disagree on something you may dream of a vehicle accident (especially after an argument or before an argument). The damage on the vehicle and the way the vehicle got damaged reveal more information on the specific circumstances. Also notice colors and other circumstances in the dream or the vision. Specific colors will probably reveal the reason why there is disunity. Who was the driver? How was the vehicle damaged? How serious was the damage and exactly which body-parts of the vehicle got damaged? Did somebody get injured or did someone die in the accident? All these aspects tell you more about the meaning of this dream. If an accident occurs in a dream involving two vehicles, there is disunity between two people with different ministries but who work together. If the accident involved your own vehicle only, the disunity is probably between you and your spouse or you and somebody within your ministry. If somebody purposely cause an accident it means that somebody wants to damage your ministry or your business on purpose. In terms of the five-fold ministry of teaching, a vehicle accident symbolizes a person who experience issues and conflict regarding doctrines. In this case this person needs to prayerfully check his doctrines and sort out any conflicting issues. When you dream of aeroplanes you are dealing with the spiritual aspects of a spiritual ministry. This is ministry on a higher level than the normal. It is not about your own efforts. This is all about a supernatural ability and can also be as part of a bigger group of people. You have been made able to lift off from the earth (worldly ways and systems) and are now operating and functioning on a higher level, just as an aeroplane reach higher areas than a motor vehicle you are also reaching and influencing more people. It is all about your God given ability, through the work of the Holy Spirit, to function on a higher level. When you dream of aeroplanes God reveals something to you in terms of the spiritual aspects of your ministry. It is not about the physical or natural aspects of your ministry. This is the impact that you have or should have on the spiritual realm. It is all about dealing with the spiritual with the power of God or with the ability God has given you. An aeroplane, coming in for a landing, speaks of the fulfillment of a prophesy. This is different from seeing an eagle coming in for a landing. See “Eagle (Landing)”. In such cases (aeroplane landing) the fulfillment of the prophecy depends on human behavior. Such prophecies depends on us believing, praying and being obedient in order to ensure that such promises comes into fulfillment. A crashed aeroplane indicates that a certain prophetic word has not and will not come into fulfillment. The time for the fulfillment of a prophecy has come. God reveals to us that the word that He has promised, maybe long ago, is about to be fulfilled. Because of negligence or carelessness, a prophetic word does not come into fulfillment Please remember that we always have our part to play when it comes to God’s word and that includes prophetic word. We need to be obedient and we need to be faithful. We should always act positively in accordance of God’s word and God’s will in all circumstances and situations. We can and will prevent prophecies from coming into fulfillment if we do not get in line with that word. An aircraft for passengers indicates a large group of people who are involved in a spiritual form of ministry like intersession or some other spiritual ministry. In the spiritual realm we are part of a global ministry. We do not know who the other people are but we form part of this group of people who are all involved with a specific spiritual ministry. When you dream of an aircraft for passengers it is important to note all other symbols in the dream in order to understand the interpretation of the dream. A small aircraft represents a personal spiritual ministry like intercession. This symbol is all about your own personal spiritual or supernatural ability of ministry in the kingdom of God. It is all about you reaching and influencing people in the kingdom of God. This is what you do, it is your God given ability to influence the spiritual realm according to God’s will and his word. When you experience problems while flying you need to take note of exactly what causes the problems. These symbols will reveal what areas in your spiritual ministry need to be addressed in order to develop your spiritual ministry. Fighter planes represents God’s army or God’s children operating in authority. Please do not be mistaken on the practical aspects of this symbol. This does not mean that you are involved in a spiritual warfare against evil. It means that you are ready and able, like a soldier, to prevent the enemy from tempting you into sin or unbelief. Warfare in this sense is a metaphor. We should always be ready and protected like soldiers. We utilize these fighter planes to protect our borders and our border-posts. We do not give the enemy any foothold in our lives. The enemy is not to come past our borders. 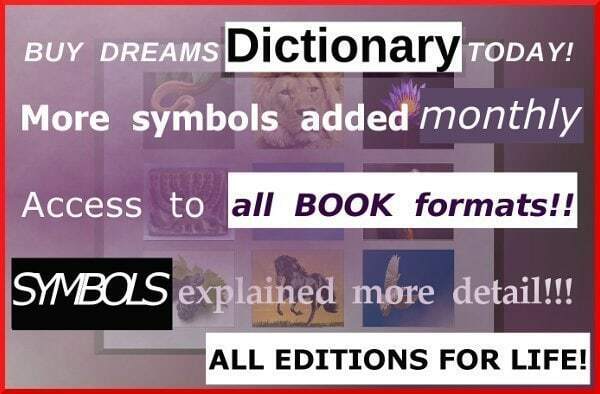 Other symbols in the dream or vision will reveal the specific meaning of the dream or vision. Military aeroplanes therefore symbolizes our spiritual ministry of warfare against the enemy. 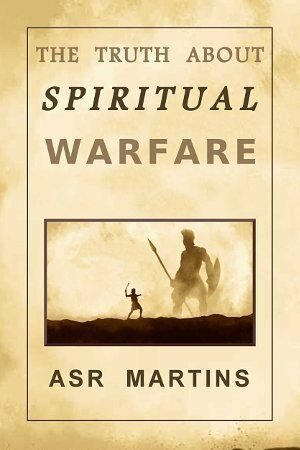 See my book, “The Truth About Spiritual Warfare” which is available on my website and other online bookstores. Military aircraft also speaks of a person who needs to overcome challenges, circumstances and resistance (spiritual warfare) in order to ensure that specific prophesies come into fulfillment in his life. See “Vehicle (Aircraft – Coming in for a landing)”. 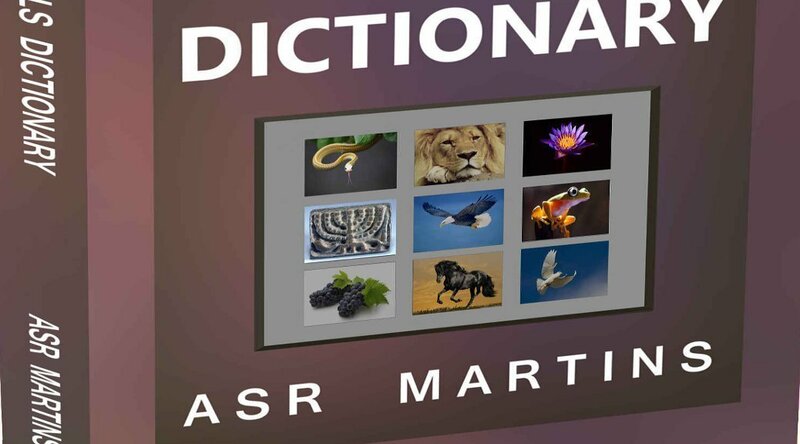 See “Snake” for a better understanding of “spiritual warfare”. An airport symbolizes spiritual conference. This is the place where spiritual ministries take off and land. The last acts of preparation are carried out at the airport. Some incidents in dreams and visions on an airport can reveal some last minute preparation. I know of a person who had to use the toilet to relieve himself (both liquid and solid excrement) at the airport before take-off. The meaning of this dream is that the person had to deal with inner emotional issues through repentance before his spiritual ministry could really take-off. A person going to the toilet is cleaning himself (his inner being) of bitterness and unforgiveness through confession. He also removes spiritual blocks and garbage through repentance and confession. We must always have a pure conscience in order to be an instrument in God’s hand. An airport also symbolizes the fulfillment of a spiritual ministry. A person arriving at an airport is in fact at the beginning of a spiritual ministry. Obviously it can also indicate the end of a spiritual ministry which is very rare. Somebody needs to pedal a bicycle to enable it to move. That is why it symbolizes a person’s personal or own efforts or zeal regarding his ministry or prayer-life. The color of the bicycle and the condition of the tires and frame will reveal more detail. With a motor-vehicle or a motorbike own effort does not play a role because the vehicle is powered by an engine. The color of the bicycle, the direction traveling and the circumstances in the dream will reveal more detail. A black bicycle speaks of a person’s doubt and unbelief in his own efforts and/or prayer-life. A black car symbolizes a person who is spiritually blinded or demonically influenced in terms of ministry or in terms of motivation. A brilliant white (expensive) car symbolizes an out of balance attitude towards prosperity teaching or preaching. Although prosperity preaching and teaching is from God (Psalms 35:27 – Let them shout for joy, and be glad, that favor my righteous cause: yea, let them say continually, Let the Lord be magnified, which hath pleasure in the prosperity of his servant ), we need to have a balanced approach and attitude when dealing with this aspect of our faith walk in Christ. A bus speaks of the whole church or congregation or the global ministry of a congregation. A Bus is a passengers vehicle. There is one driver and many passengers. This speaks of a ministry where the leader is supported by many people. Whatever the condition of the bus, the color and different incidents tell us more about the specific congregation. The vehicle driver is usually the person responsible for the ministry or the business or in terms of life motivation. A driver’s license speaks of a person who has been given the authority or the permission to preach. It can also symbolize the authority in a work situation to perform a task previously not allowed to do. The condition of the engine of a vehicle speak of the ability of a person. A powerful engine running smoothly speak of a person who is well equipped for ministry or for his occupation. A small and or a broken engine speak of inability to do what is expected from a person in his work situation or in his ministry. The colors of the engines reveal more detail in this regard. Flying saucers speak of new miraculous events never experienced before. It also symbolizes unbelievable things like we have seen during the Toronto blessing or the Azusa street revival. It can also symbolize new insight in spiritual matters or new supernatural manifestations of God’s miracles. A green flying saucer speaks of a miraculous or supernatural financial breakthrough. The fuel in a vehicle symbolizes the inspiration of the Holy Spirit in a ministry. A lack of fuel speaks of the absence of the inspiration of the Holy Spirit. A vehicle in a garage speaks of a particular ministry not being active or paused for a season. A vehicle at a gas station symbolizes a person who attends another ministry in order to add fuel. This speaks of a person being inspired through the ministry of the Holy Spirit. See “Vehicles” for a better understanding of vehicles in dreams and visions. See “Vehicles (Fuel)”. A large black car symbolizes a high profile demonically influenced ministry. A black car also speaks of a person who is oppressed and depressed by the devil who lost his power because of that. It speaks of downhearted people who are about to give up due to financial or physical or material reasons. A vehicle license issued by the government symbolizes the registration of a ministry or a business for tax purposes or other legal requirements. Sometimes it literally speaks of a physical vehicle license that needs to be renewed. A light deliver vehicle speaks of a person with a practical ministry supplying resources for ministry. A motorbike symbolizes a person’s personal prayer-life and relationship with God. If it is a powerful motorbike it symbolizes a powerful prayer-life. If it is a small motorbike it symbolizes a weak prayer-life. Also look at other symbols like the color of the motorbike, the person on the motorbike’s condition, the clothes the person is wearing as well as other surrounding conditions. It also symbolizes a person praying under the power of the Holy Spirit. The size of the engine symbolizes the person’s ability to pray according to the faith and the will of God. What makes our prayers powerful? Faith, praying in the Spirit (tongues), faithful in prayer, maturity in relationship with God, resting in the love of God, etc. The size and the color of the motorbike as well as detail regarding the person who rides the motorbike will reveal more information. The bigger the motorbike the more powerful the person’s prayer-life or prayer ministry is. Negative colors and positive colors will reveal the state of the person’s prayer ministry. A Gray scooter symbolizes a person who is reasoning with God about something negative. Gray is a negative color. It is white (victory, holiness, faith and purity) mixed with black (unbelief, depression, negativity and fear). The fact that the gray color is associated with a scooter indicates that the person is praying (wrestling) with God. It is a scooter and not a powerful motorcycle because this kind of prayer where a person is wrestling with God, progress is slow and difficult. This can happen when a person is upset with God or disgusted about something. Remember motorcycles speaks of our prayer lives. This indicates a person who is reasoning with God in prayer. An old vehicle speaks of a traditional ministry. People sticking with old methods and old ministries in the body of Christ are symbolized by an old vehicle. A pale vehicle speaks of a person who experience judgment and destruction by evil forces. These people are often filled with resentment and fights evil with evil. A parked vehicle speaks of an inactive Christian or inactive ministry. The driver of the vehicle is usually the person the dream is about but not always. In some instances it can be your boss at work behind the wheel of his “company” and you a passenger (employee). Drivers and different passengers influence each other (positively or negatively) and support each other. As I said, passengers play supporting roles or are somehow involved with the ministry, job, association or business situation. Being a passenger in the front left side (in countries like South Africa where the driver sits on the right hand side), speaks of being in a position where you play a senior role but not in charge. It sometimes also speak of being involved in a negative sense or a negative situation. Passengers in the right rear side of a vehicle plays a positive role but may be lower down the order of authority. A pink and sporty vehicle symbolizes a person with sentimental affections for a ministry. In a positive sense, a person moving quickly and skillfully through traffic without causing accidents and without ignoring traffic signs and traffic rules speaks of a person who is spiritually well equipped to carry out his ministry or to do his physical job. Road signs are very important in dreams in visions. The natural meanings of road signs are to be regarded similarly in a spiritual sense in order to understand the spiritual meaning of road signs. To dream you drive right over a stop street without stopping or you are running a red light at an intersection is a warning from God. It means that you are about to disregard the safety of other people in terms of there ministries or work situations. It means you do not care being in dissent or in disunity. It means you treat other people recklessly. See “vehicle (Accident)” and “Vehicles” for a better understanding of vehicles in dreams and visions. A red vehicle speaks of a person who is facing conflict. It also speaks of a person who has his power drained and tested because of conflict. Rockets and spacecraft symbolizes a call from the Lord for fasting and prayer. It takes a lot of engine power and it takes a lot of fuel to launch a rocket or spacecraft into space. It is not easy to break out from earths gravity force and earths atmosphere. This symbolizes the fasting process which is also difficult at first but gradually becoming easier. Rockets and spacecraft also symbolizes an increase in miracles, healings and other spiritual blessings because of the overcoming power that fasting entails. Natural limitations are broken as people who fast rise above the natural laws of the earth similar to spacecraft lifting off from the earth and entering space. The calling of an apostle can also be symbolized by a spaceship visiting space and landing on other planets such as Mars. This speaks of a person being called as an apostle, moving into the realm of supernatural authority and not limited by natural laws. Such a person really lives from each and every word that came from the mouth of God. They usually cease relying on worldly systems and choose to trust God instead for every need that they have. For this reason these people display great faith in the word and the promises of God. Usually wonderful signs and miracles follow them wherever they go. A surfboard speaks of a person who is willing and able to ride on the “waves of change”. To them change is not an issue. They adapt quite easily when a new wave comes in. They actually enjoy change. I once had a dream of me riding an invisible “wave” from a skyscraper. In the dream I was standing on top of a skyscraper. In dreams a skyscraper symbolizes the institutional church with its different levels and areas of ministry. Although I could not see Him, I knew that God was there with me. It was a bit dark around us although I could see everything quite clear. At the left corner of the roof of the building was a flimsy white pole leaning way over the edge of the roof. I noticed that I was standing on a surfboard. I instinctively knew (word of knowledge) that I was supposed to jump and slide on the pole (skateboard style) and that this pole was supposed to launch me into the sky. I was then supposed to ride on the “waves” of the wind on my surfboard until I land safely on the ground. I had many dreams in the past of people jumping from the roof of skyscrapers. These people always landed safely on the ground, sometimes on huge mattresses. This symbolizes people aborting or leaving the institutional church in favor of house churches like it was in the New Testament. In this dream, me leaving the skyscraper on a surfboard riding on the winds symbolized individuals in the institutional church, leaving the institutional church with the help and leading of the Holy Spirit. A skateboard symbolizes a personal ministry or motivation based on own efforts. It also symbolizes that such a ministry is spiritually very limited. It can be compared to “just playing” and not really the real thing. A true and effective Biblical ministry or motivation is symbolized by a white motor-vehicle or a white truck or a similar vehicle. When you dream about motor vehicles it symbolizes your ministry. Many ministries functioning together in unity are symbolized by a train. Although it does not always appear that we are working together with other people we are in fact one in the bond of love. In the spiritual world we are all connected. The church preach and proclaim a gospel of unity. A train symbolizes an army. It symbolizes a mighty army, a great force or a powerful group of soldiers. In this sense the church is the army of God. Each one with his or her own ministry (motor vehicle) but in a corporate sense these ministries are linked together like the separate compartments of a train. The powerful engine is the power and might of the Holy Spirit leading this army. A train also symbolizes the negative aspects of the institutional church (Man-made doctrines and traditions on a rigid course symbolized by the railway tracks). A train cannot deviate from its tracks but is rigidly guided by it. It cannot go anywhere except where the tracks are leading to. 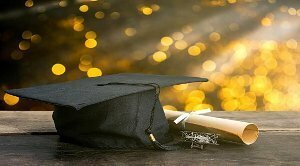 People in the institutional church who wants to break away from old erroneous doctrines have an uphill battle changing such doctrines. A congregation which is tradition free and focused on relationships and not religion, such as authentic house churches or a true New Testament church, is symbolized by a living creature like a plant or a woman. In a positive sense trams symbolize accepted foundational truths. There is no arguments against these doctrines and the church sticks by these doctrines as symbolized by the tracks of trams. In a negative sense trams symbolize the rigid human traditions and man-made doctrines and rules just like trains do. The compartments of a train linked together symbolizes the different ministries linked together. The locomotive engine in front of a train symbolizes the might and power of the Holy Spirit leading the church. When a church or congregation is led by intellect and not the Holy Spirit, it is symbolized by a green color. This is often symbolized by a green train in dreams and visions. This is a result of the New Age movement. This is also when the Holy Spirit is replaced by intellectual reasoning and intellectual based ministry. In congregations like this people’s minds control the church activities and a lot of emphasis is placed on knowledge of the Bible but there is a lack of intimate relationships with each other, God, Christ and the Holy Spirit. A truck symbolizes a ministry that involves more than the local church (provincial or national). A big truck symbolizes a teaching ministry. When you see a big truck loading natural raw materials like sand and stone it symbolizes a ministry providing resources (building material) to a large group of people (provincial or national). These resources are raw materials (new material) and needs to be prepared in such a way that the body of Christ can accept it and use it. This speaks of a person doing pioneering work in the church. I think Martin Luther probably fell in this category. He took the church in a new direction and the church’s resources had to be changed. People like this usually write books and prepare handbooks and other study material. Vehicle tires symbolizes a person’s motivation and willingness in ministry and in work. If the tires are flat it means the person is not ready to minister. If it becomes flat it means the person lost faith in his ministry. A white vehicle symbolizes the spirit of victory in believers’ lives. We are more than conquerors in Christ. It speaks of spiritual authority and victory in our ministries. In a natural sense it speaks of success in a business or a project or even in motivation in life. A person who dreams that his veins are damaged, usually situated on left body parts or areas of the person’s body (veins hanging out of the body), speaks of such a person not being able to resist certain sins in his life. Such a person needs to be delivered (casting out of demons and good Biblical counseling). See “Blood” and “Kidneys” for a better understanding of this symbol. God is honoring you for spiritual victory and progress in your life. The color and size of the cup will reveal more information like the spiritual area that you excelled in. A volcano speaks of intercessory prayer which removes mountains through travail to obtain a spiritual breakthrough. Vultures symbolizes people who are spiritual parasites. Such a person usually has a mindset of obtaining things for free. They are very fond of the grace message. Receiving the blessings of God through grace is a very popular subject among such people. They normally do not take their full inheritance into possession. People like this do not want to go through the trouble of obtaining spiritual insight or blessings for or by themselves. They will rather “plough with another person’s calf”. Such a person does not renew their minds because they live on old words of inspiration obtained by other people. Vultures sometimes speak of people who are backsliding. They usually shrug off responsibilities and make no or few attempts of being active in their ministries or faith-walk with Christ. Vultures sometimes symbolize people with ungrateful attitudes and behavior. 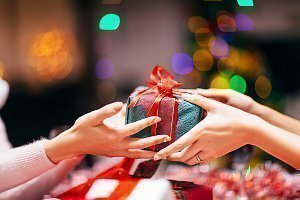 They want everything for free and at the end of the day they are also not thankful with what they received. Vultures can also speak of people who get involved with other peoples affairs. They sometimes do not think twice getting actively involved in other people’s affairs. They sometimes stir people up to do things they normally would not have done. When the vulture in a dream refers to you, you need to repent and you need to change your attitude. We resist a vulture attitude by resisting attacks, temptations and negative thoughts. We are a living sacrifices unto God. In a sense vultures (demons) wants to feed on the sacrifice (us) by means of temptations and negative thoughts. The Bible prophesied in Genesis 3:14 that the snake will eat “dust” all the days of it’s life. Now we all know that snakes do not really eat dust. This was actually referring to Satan and our flesh which is the “work of the flesh”. We are feeding the enemy when we lust after the works of the flesh. In another sense spiritual vultures (people or demons) are being sent to eat our sacrifices. When we have offered our time, commitment, flesh and desires in order to please God, time may pass before God accepts our offering. This is the time, when we wait on God to accept our offering that we must protect our sacrifice against vultures. Vultures try to “eat” or to consume our offerings by means of sowing doubt or causing inappropriate behavior on our behalf. We must resist negative thoughts and wrong attitudes until God accepts our offering.